The Costa Dorada, in South Catalonia, is one of the most beautiful areas on the Spanish coast and one of the prime tourist destinations on shores of the Mediterranean. 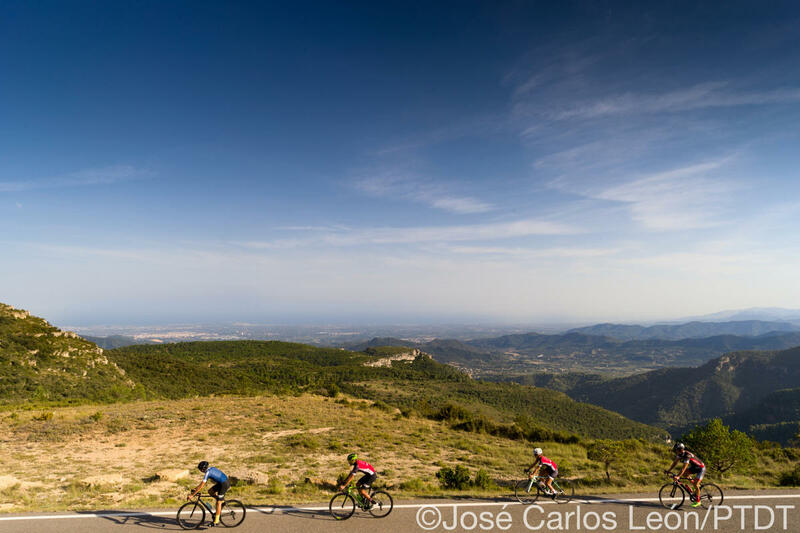 You can think of it as a little piece of Mallorca on the Spanish mainland, equally good for cycling, but quieter and much less well known in the cycling world. 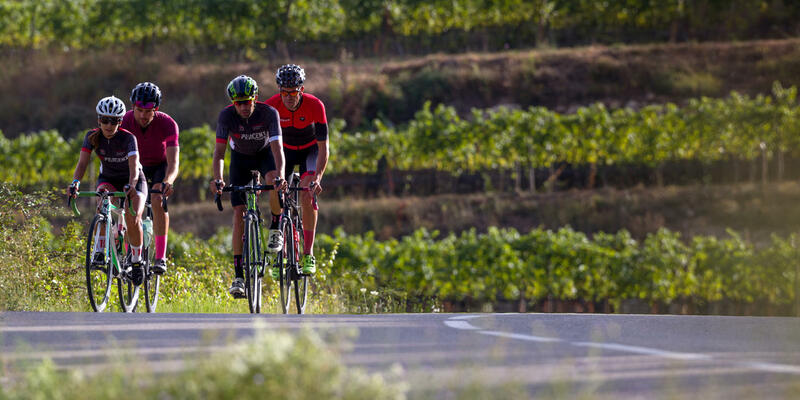 We rate it one of the best places to ride in Spain, and we are obviously not alone - with Team Wiggins and Giant Alpecin also regularly frequenting the area. 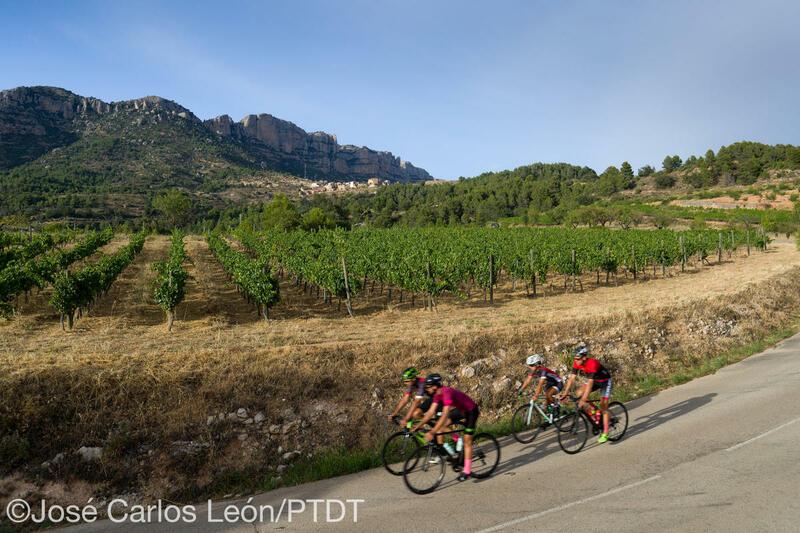 On this weekend escape we'll ride the best roads through the Parc Natural del Montsant and you can test your legs on the 'steps of god' climb. 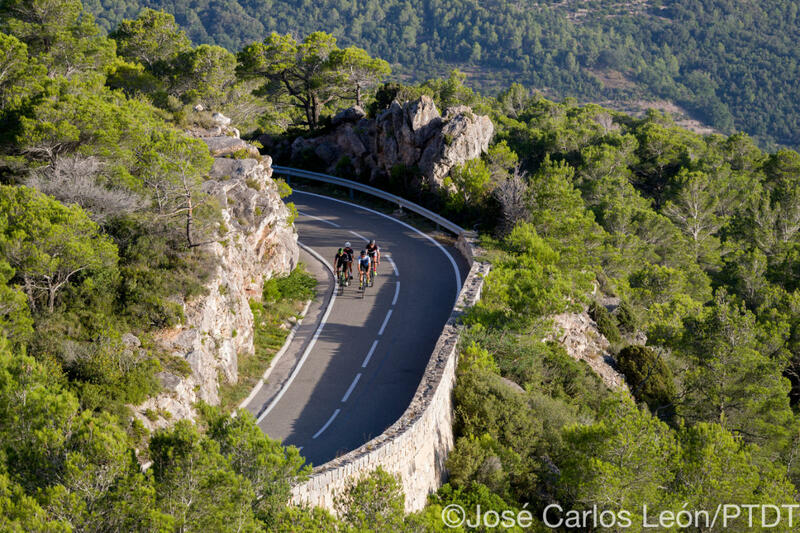 There are some great routes in the Costa Dorada. We would describe it as a middle mountain region. 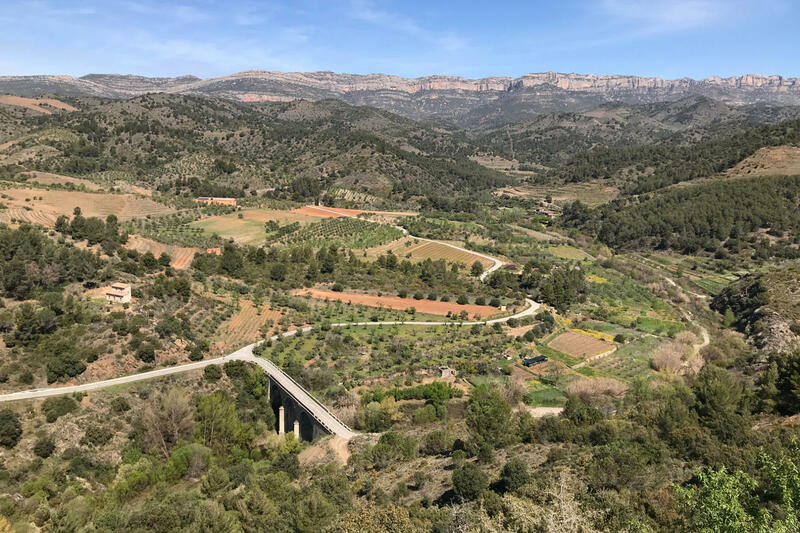 The climbs top out at about 1000m, but with 330 days of sunshine a year, great quiet roads and beautiful countryside, this is one of our favourite places to ride in Spain. After arriving at Reus Airport you will be met by one of our guides in the arrivals hall. The hotel is just a 20-minute transfer away. At the hotel you will be reunited with your bike that will have been driven down for you. A couple of hours for a nice lunch, time to settle in and fettle your bike, and then we will test the legs by taking on the area's famous climb of La Mussara. 10km at 6.2%. La Morera de Montsant loop is a good day in the saddle, you climb 20km uphill to begin with, at a steady 4%, before dropping down, in to and out of two further valleys. The last valley you enter feels like a step back in time, and we will stop in Escaladei for coffee to steady ourselves for the next climb. The climb is hard with ramps of 15% for 3km. Roughly translated from Catalan the climb's name means steps of god, and the climb will have even non-believers praying for the top. All that is left is a big descent from here, one final easy climb, and then a fast downhill to the hotel. Today we ride deep into the hills to take on 6 individual Cols and take in the stunning scenery of this area. You will ride past vineyards, olive trees and groves of almonds, holm oaks and maples, into the hills forested with Aleppo pines. Deserted roads and twisty climbs and descents await us. The serried limestone hills, monasteries, prestigious family wineries and a network of winding mountain roads will delight. Chance of one last ride to the coast, to dip your toes in the ocean, and then loop back to the hotel, before your transfer to the airport. Accommodation is in a clean and comfortable 4-star bike-friendly hotel. Hotel Termes Montbrió is located in Montbrió del Camp, on the Costa Dorada. It combines modern elements with a traditional Mediterranean style and has extensive gardens, with a thermal spa on-site. Fly to: Reus or Barcelona with Easyjet - specific flights to be confirmed.